His pedigree is very impressive as he was a musician in the Ray McVay Band for many years before running his own band in the days of the Mecca Ballroom. In 1974 Kenny won the TV series New Faces with his own style of comedy. This was followed by major summer seasons including Jersey, Scarborough and Blackpool to name but a few. 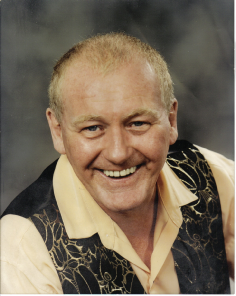 In 1987 Kenny became Entertainments manager for the Butlin’s Hotel Group, this led to him being chosen as the Entertainments and Leisure executive at Butlin’s Wonderwest World at Ayr in Scotland. On the closure of the Butlin’s complex in Ayr that was when Kenny decided to come over to Spain and take things a little easier. No such luck, as straight away he was snapped up by JJ’s Nightclub as resident compere which last for two years followed by three years at the Talk of the Coast. Kenny obviously still enjoys performing and it really does show as he had the audience eating from the palm of his hand in a very short space of time. He came on to what you would probably call a fun song and soon had the crowd clapping along and they were very much included in his act which was almost like watching someone perform in their own living room as Kenny seemed very at home behind the microphone. I liked what I saw and would certainly go back and see him again. It has to be said this could even be classed as a family show as the material he used was not only funny but clean too. Yes there were a few risqué jokes and quips but nothing I would have been upset about if I’d have had children with me. If you’re passing a venue where Kenny is on call in and say hi to him, you’ll find him very approachable and easy to talk to. 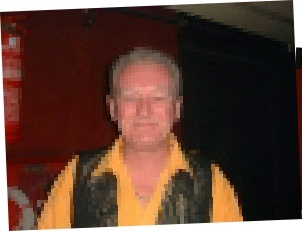 I travelled back to the Malibu Cabaret Bar in Benidorm’s Rincon De Loix area to see Kenny Bee. 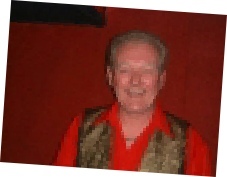 This week for espana-resort.com review we turn the spotlight on David Ryan who is back in Benidorm after a 25 year absence and is now appearing at the Malibu Cabaret Bar in the Rincon de Loix area of the town every Sunday evening at 22.45. David first came to Benidorm in 1984 after winning London’s Entertainer of the year where he was resident 7 nights a week at the Talk of the Coast. Since those days David has been kept busy touring around the world performing at many venues and has also been entertaining in the Caribbean on the Cruise Ships which frequent the area. David began singing with bands at the age of 12 before embarking on a successful solo career. He has worked with many top named personalities along the way but is very down to earth and regularly engages in chat with the audience and even cracks the odd joke or two. To be back in Spain means so much to David as he always remembered the Costa Blanca with much affection as it was his first major break. His repertoire is varied and has something for everyone covering music from the 1950’s to present day. The highlight of the show is the Neil Diamond set he performs which at times actually sounds like the great man himself a great tribute indeed! A visit to the Malibu is well worth the time on Sunday evening to see The Voice of David and maybe even purchase a CD to take home to remember your evening.